Apply a thin layer to the skin once a day, or as directed by a physician. Purified Water, Glycolic Acid, Emulsifying Wax, Triethanolamine, Glycerin, Lactic Acid, Caprylic/Capric Triglyceride, Kalaya Oil, Stearic Acid, Cetyl Alcohol, Dimethicone, Methylparaben, Propylparaben, Saponins. I been using this for 3 months and I love it!! Makes my skin younger and even looking . Just stay away from the sun or use sunblock. I've been using Obagi products for the last 5 years. Prior to that I tried everything under the sun for great skin. 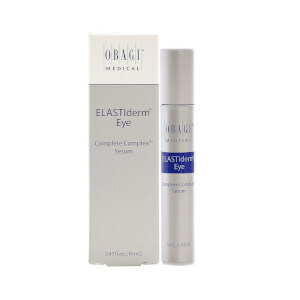 Believe me, there is no other product out there like Obagi. I have great looking skin and always receive compliments from my friends about how young I look. The Exfoderm sloughs the old skin off to reveal fresh looking, supple skin. I've been using this product for many years at the suggestion of my dermatologist... she said if there was one product that I should continue using, it was Exfoderm Forte. It does a great job correcting the texture of sun-damaged skin. I will continue buying it from the SkinStore when I see it on sale. I am hardly ever able to find it on sale elsewhere. Great product, does not irritate my sensitive skin or clog my pores. Lightweight cream. I like it a lot. I have had acne and therefore acne scars since I was in puberty. I'm now 30 and still battle with my skin. 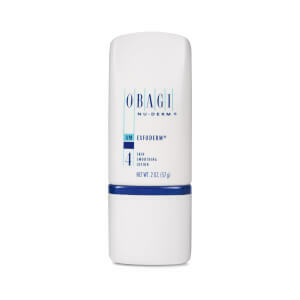 I've tried everything including Proactive, RetinA products, prescription medications as well as every expensive skin product out there.This line of Obagi products (including the face wash, toner, Clear, and Blender) have really worked! My scars, pores and general appearance have improved. Really, the only product I can say with assurance - that it does work! This is a fantastic product. I did not have burning or peeling like some. My skin is resistent and I have used retinols and acids without problems. I was disappointed at first because I thought I should get the peeling others had. Now after a few weeks my skin is clear and my hyperpigmentation spots are so much less noticeable. I am ordering my second bottle today! I don't want to be without it! Love this product. 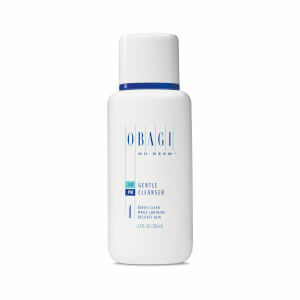 I use the entire Obagi line. Had brown spots on my face. They are now gone. Please be aware that this product can and probably will leave your skin red and peeling. It lasted about 2 months for me. However, if you are willing to allow your skin to go through this, your skin will be amazing at the end. Realize also that these are prescription strength. Obagi is the best. Was everything I had heard and more! This product is amazing. Assisted in getting rid of brown spots. I use the entire line including Clear and Retin-A. Would recommend using the entire line. The first few months my skin was red and peeled. However, after that, my brown spots faded completely and my skin feels and looks amazing. Obaji promises the user you will have skin that glows and it is true.